The austere set gleamed brightly, burnished to reflect the light, and on stage, as last night’s audience arrived, stood a man close to tears. As it got closer to curtain up (metaphorically speaking, as there was no curtain) the figure seemed to lose control. A bad case of stage fright? No, only the opening to Polly Findlay’s disappointing production of The Merchant of Venice by the Royal Shakespeare Company. The snivelling wreck is Jamie Ballard’s Antonio, Merchant of Venice and a man devoid of any backbone. Is this really a successful trader who commands the respect of the world’s trading nations? Coming hard on the heels of The Globe’s superb Merchant, with Jonathan Pryce as the Jewish moneylender, Shylock, the RSC’s gloomy version at Stratford-upon-Avon, which opened last night, is a bit of a comedown. It doesn’t work in modern dress (young buck Bassanio and his mates, Lorenzo and Gratiano, look like the members of a boy band) while Antonio looks attired for a night in the pub. 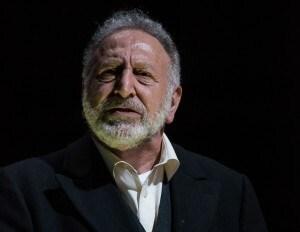 Worse still Makram J Khoury, an acclaimed Palestinian actor of stage and screen, who isn’t credited (in the programme) as having performed Shakespeare before, plays Shylock in a blue windcheater, a heavily accented performance that was leaden and occasionally lost in translation. The comic secondary story, of heiress Portia shopping for a husband with an ordeal by casket for her suitors, fails to lighten the mood (though Brian Protheroe, as Aragon, does his best in a brief cameo). Instead the humour, though more cynical insults and gestures than jokey banter, is provided by Shylock’s clownish manservant Gobbo (Tim Samuels). The largely inexperienced, young cast dash around dispelling their lines with abandon but, for me, the only moment you feel the story’s power is when Shylock demands his pound of flesh from a terrified merchant. Antonio, usually stoic and accepting, breaks down in tears and sobs like a baby (although, to be fair, I think we’d all have the same reaction if someone was going to hack chunks of flesh off our bodies). The businessman spends the entire production traumatised though is consoled, much to the disgust of Portia, with some passionate kisses from Bassanio. Findlay has obviously decided it was time The Merchant of Venice came out of the closet after years of speculation. Jacob Fortune-Lloyd makes Bassanio a handsome romantic hero but his soulmate, the rich Portia (Patsy Ferran), fails to sparkle. Samuels spends a great deal of time in the final scenes going back and forth, filling the empty stage with candles, which looks beautiful even though it adds little to the story. This is a production that fails ignite. There is little made of Shylock’s uneasy relationship with the gentiles (but he is spat upon, causing a sharp intake of breath among the audience) or, indeed, his own daughter, whose momentous decision to abandon her faith and marry a Christian, is barely given any stage time. 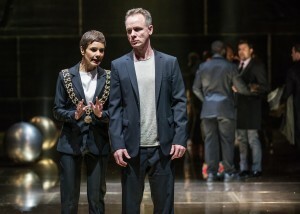 The Merchant of Venice runs in rep on the main stage until September 2. It is broadcast live into cinemas on July 22 and into schools next April. 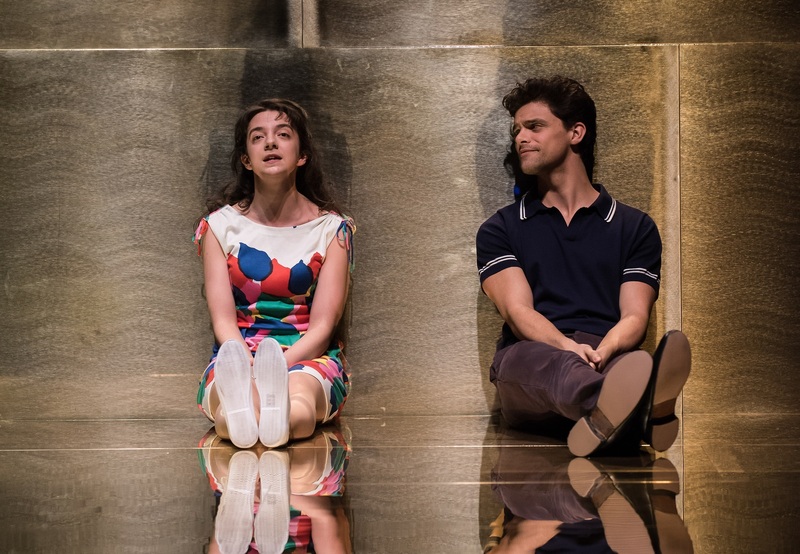 Polly Findlay’s disappointing modern dress version of The Merchant Of Venice, which opened Thursday night on the Royal Shakespeare Company’s main stage in Stratford-upon-Avon, fails to ignite or thrill the audience.